SFS Equipment sales reps will call to schedule a delivery appointment. Which gives you the flexibility to work around your busy schedule and to prepare the space where your item will be placed. Upon delivery, trained professionals will unload your large item from the truck, bring it into the room of choice, unpack the item and remove all packaging debris from the premises. 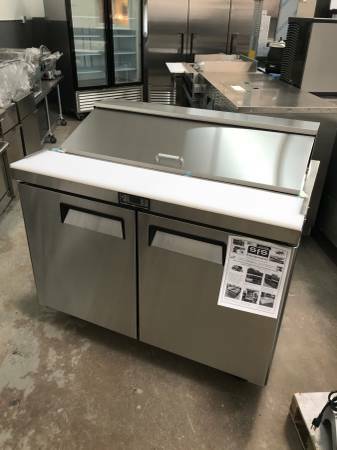 New Refrigeration & cooking equipment is in stock at our Arden Hills, MN location. Our new 6,000 sq ft showroom is located in Arden Hills, MN. 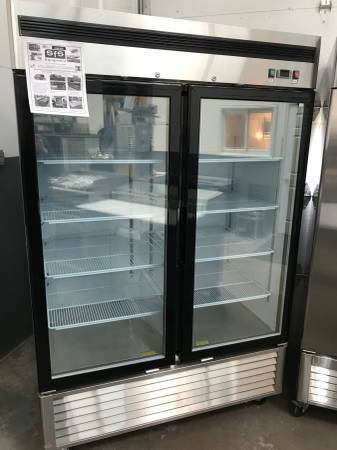 Cooler, Coolers, Oven, Grill, Party, Wine, Liquor, Patio, Parking, Chair, Chairs, Table, Tables, Booth, Private, Banquet, Catering, Kitchen, Kettle, Steam Table, Plates, Cups, Silverware, Glasses, Glassware, Mats, Lighting, Floor, Sound Equipment, Amplifier, Speakers, Office, Market, Club, Nightclub, Venue, Parking, Heat Lamps, Flat Top, Griddle, Burner, Candy Stove, Food, Money, Cash Register, Beer, Menu, Hostess, Mirror, Table Cloth, Dishwasher, Freezer, File Cabinet, Bar, Tavern, Bases, Ice Machine, Stove, Fryer, Stainless Steal, Hi Top, Carpet, Patio, Triple Sink, Ice Bin, Reach Ins, Stainless Steel, Ul Hoods, Exhaust System, Installation, Test & Balance, Repair Equipment, Hotel, Cleaning, Hood Cleaning, Campana, Filters, Filter Cleaning, 3 Compartment Sink, Tortilla Machine, Char Broiler, Deli Case, Deep Fryer, Prep Sandwich Table, Mixers, Batidoras, Counter Top, Pastry Warmer, Convection Ovens, Convection Steamers, Hand Sink, Backsplash, Drain Board, Pasta Cooker, Open Deli Case, Beverage Chest Cooler, Pizza Oven, Gas Ranges, Electric Ranges, Pressure Cooker, Work Table, Light Trusses, Stools, Barstools, High Chairs, High Tables, Zummo, Zumex, Slicers, Ham Slicer, Food Warmer, Coffee Maker, Coffee Grinder, Meat And Bone Saw, Angle Sink, Sierra, Booths, Expresso Machine, Service Contract, Bain Marie, Shelves, Ice Cream Chest Freezer, Chicken Rotisserie Cooker, Proofer, Gas Range Combo, Supply Fans, Fresh Air System, Planetary Mixer, Plans, Permits, Inspection, Restaurant, Caf�, Cafeteria, Bakery, Hotel, Bar, Food Service, Nfpa-96, Cooking Equipment, Horno, Freidora, Estufa, Horno Convencional, Banquet Hall, Mini Mart, Kwik e, Delivery, Warehouse, Showroom, Commercial Equipment, Motor, Belts, Bearings, Repair Exhaust Fans, Stainless Steel Walls For Kitchen, Grease Traps, Any Size Hoods, Cheap, Quality, Wholesale, Retail.